The total tuition for the 11-month program for 2019-20 is $28,050. Students are responsible for their own books and supplies, health insurance, transportation, clothing and personal items during the program. Tuition includes the 23 days in the Bahamas; airfare, food and lodging. 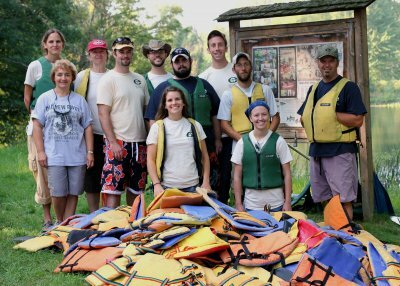 Tuition also includes our travel, lodging and most of your food during professional field experiences. There are a limited number of $8,000 to $10,000 scholarships available. The application forms for scholarships are available by emailing Dr. David Ostergren. The Goshen College Financial Aid Office will be able to assist with loan options (e.g. Federal Graduate PLUS Loan). The Accounting Office will assist with payment plans, online payment set-up, due dates. Early and orderly planning is important for receiving financial assistance. Apply for admission. A student must be admitted to the college before a financial aid offer is made. Submit a Free Application for Federal Student Aid (FAFSA) beginning Oct. 1. Students should specify 001799 as the code number for Goshen College. The federal processor will send a Federal Student Aid Report (SAR) to you. Review this form for accuracy and make any necessary changes. Respond promptly to any financial aid or admission requests for additional information or documentation. After receiving and processing the results of your FAFSA and additional information, and after you’ve been accepted for admission, we will send you a Financial Aid Award letter describing the aid you are eligible to receive. Graduate students are responsible for organizing their own housing during the program. Some housing is available for rent on site at Merry Lea. We have two farmhouses that have been extensively renovated and come with high speed wifi. Everything is included in the cost of rent, which is about $325/month depending on accommodations. Some students have rented in Wolf Lake, others have lived in Goshen or other towns within a 30-45 minute commute. Contact Dr. Luke Gascho for more information regarding on site housing.